Dubbed by Ram as “America’s Most Efficient Work Van,” the Ram ProMaster City is an affordable city-sized (Class I) van that offers consumers and businesses a number of customizable configurations and options. The Ram ProMaster City has a starting MSRP of $23,495 (plus destination fee), and its available with two different interior configurations and two different trims. 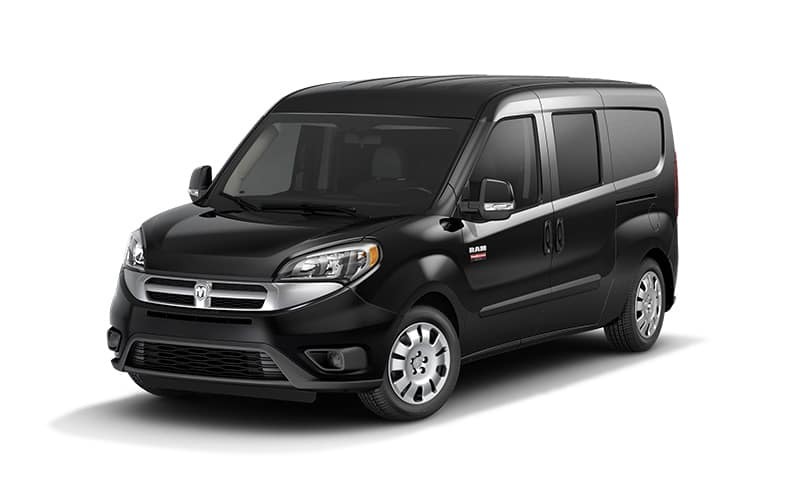 Best-in-class features of the Ram ProMaster City include its highway fuel economy (28 mpg), cargo capacity (131.7 cubic feet of cargo space), and horsepower (178 horsepower with the 2.4-liter Tigershark 4-cylinder engine). The 2018 Ram ProMaster City comes standard with a 2.4-liter four-cylinder engine paired to a nine-speed automatic transmission. Together the engine and transmission give the ProMaster City 178 horsepower and 174 lb-ft of torque. The ProMaster City has a great fuel economy for its class. The Ram ProMaster city averages 21 mpg in the city and it has a best-in-class highway fuel economy of 28 mpg and a best-in-class highway driving range of 448 miles. The 2018 ProMaster City has a maximum payload capacity of 1,883 pounds, so users can fill up the cargo area with plenty of equipment. The ProMaster City features a class-exclusive bi-link rear coil suspension that makes for a more comfortable and smoother ride even when payload capacity is at its max. The 2018 Ram ProMaster City is available in two configurations, a wagon and a van. The wagon configuration offers seating for five passengers and a Fold & Tumble second-row seat, which allows for nine different seating configurations. Also for added comfort for all passengers, the wagon has a 60/40 split rear doors with glass and two sliding doors with glass. Behind the second row of seats, there is 101.7 cubic feet of cargo capacity. The ProMaster City van configuration features two front seats and one large area for cargo, which gives it a best-in-class cargo capacity space of 131.7 cubic feet. Both the wagon and van configurations are available in two trims, the base trim, Tradesman, and the upper-level trim, SLT. Ram designed the ProMaster City with a number of useful interior features including some new features added for the 2018 model year. New for 2018, the 2018 Ram ProMaster City comes standard with a rearview camera, a 5-inch touchscreen, Uconnect 3 and Bluetooth connectivity. Also, buyers now have the option of Sliding and back door window grates in ProMaster City vans that don’t have a partition. Returning features include an interior width between wheel wells of 48.4 inches, which means there is enough space for the average pallet. As a van built for businesses, the Ram ProMaster City has a number of convenient exterior features that make it easy to load up and empty out the van. The ProMaster City’s rear doors are 60/40 doors, and the larger side is located on the driver’s side, so curb access isn’t blocked when pulled over and making a delivery. Also, the doors have a locking feature when they are opened at 90 degrees, but users can push a button and open the doors up to 180 degrees when maximum space is wanted to load or unload the rear of the vehicle. Another exterior convenience feature is the ProMaster City’s low step-in height of 23.3 inches in the rear and 21.5 inches on the side. The Ram ProMaster city is available with different upfit options to make the work van more efficient and organized. The ProMaster City wagon is available with a mobility upfit, and the ProMaster City cargo van is available with a trades interior upfit, delivery interior upfit and a roof rack upfit. Each of the upfits have unique features that make them useful for different industries and needs. The trades interior and roof rack upfits provides organized storage options for people that need to carry a lot of different parts with them to every job. The delivery upfit is a useful option for people that are delivering various items and need to keep items organized and secure. The mobility upfit has special equipment that makes it easy to transport passengers with heavy equipment like wheelchairs or scooters. The Ram ProMaster City has a starting MSRP of $23,495 (plus destination fee). Ram backs the ProMaster City with a three-year or 36,000-mile limited basic warranty and a five-year or 60,000-mile limited powertrain warranty. Want to see how the Ram ProMaster City can help your business out? Come by University Dodge Ram to view all of our Ram ProMaster City inventory. We are the largest Ram dealer in Florida and the Southeast U.S., so we have more inventory than anyone around. 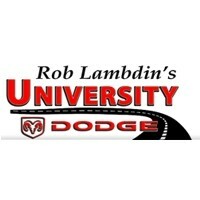 University Dodge is located just outside of Miami, and we have a great selection of Dodge and Ram vehicles. Visit us at University Dodge for a test drive of the brand new Ram ProMaster City today.